Not all change is bad: especially for the South of Italy…. Ten years ago if someone gave you a blueprint of importing Italian wines into Australia, geographically it would start at Florence and head north. You would fill your portfolio with as much Chianti and Super-Tuscans as possible, and then work your way up to the top of Italy. The south and their wines were the forgotten regions of Italy. It would have been commercial suicide to focus on the South. Or so it seemed at the time. Fast forward ten years and so much has changed. Puglia, Campania, Basilicata and Sicily are hot spots for Italian wine in many markets around the world. Calabria after a slow start is now joining in the fun. Why has the south been able to claw it’s way back and finally get recognition it deserves? It all comes down to one thing: indigenous grape varieties. However in the long run this will not guarantee success. It is one thing to have a massive array of indigenous varieties, it is another to use these unique varieties for the benefit of each region to make sure that they are recognised and respected as noble varieties of the south. How will the south show the rest of Italy and the world that these grape varieties are as serious and noble as the wines of central and northern Italy? This question will play a big part in the long term success of the south. The world’s eyes are focused on the ‘South of Italy’ to see if this period in the spotlight will create prolonged success for these diverse and culturally different regions. In establishing Radici del Sud, it is obvious that the south is now working together on common goals. 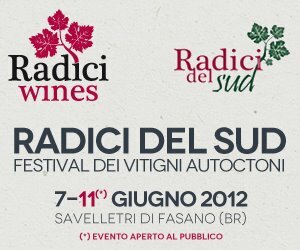 At Radici del Sud 2012 this year in June, it will fantastic to try so many unique and diverse wines from every region of the south. It will be equally fantastic to then listen to these producers and ask what direction they think the south should take? Their answers will go a long way to illustrating to me where I think the south will be in ten or fifteen years time. 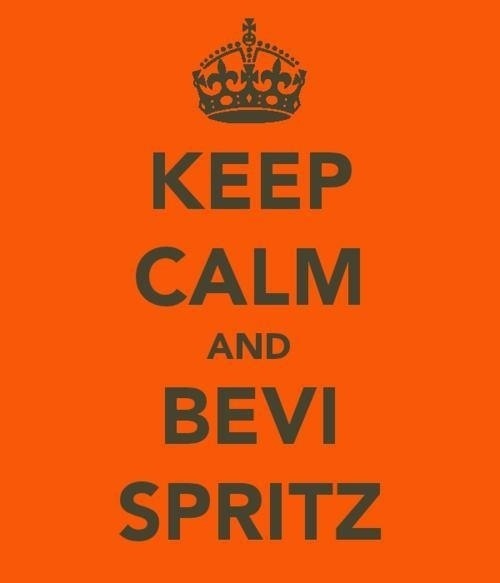 A fantastic motto in life…. Whenever you feel like life is getting all too complicated. Just remember…..
Not a bad day when…. Jane Faulkner in The Age, Saturday 21st April. You wake up and find one of the wines you import written up in two national newspapers by two of Australia’s leading wine journalists (Jane Faulkner and Max Allen). 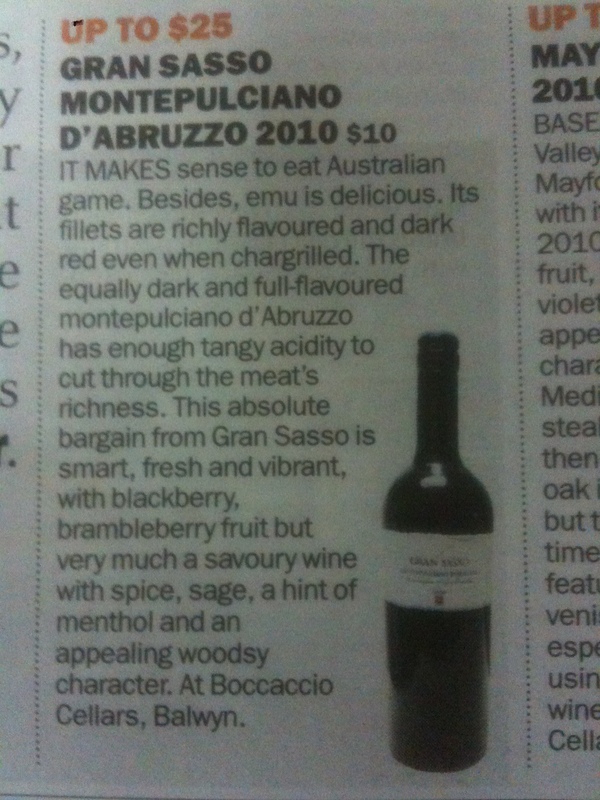 Not that Gran Sasso Montepulciano d’Abruzzo needs anymore encouragement to sell. 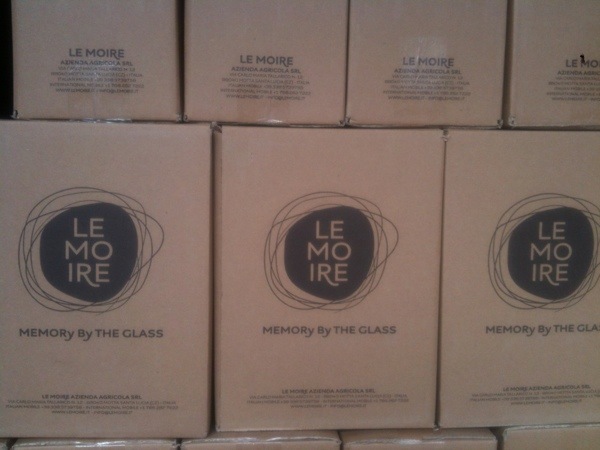 40,000 bottles are next in the next few weeks with more following early June. Max Allen in The Australian, Saturday 21st April. 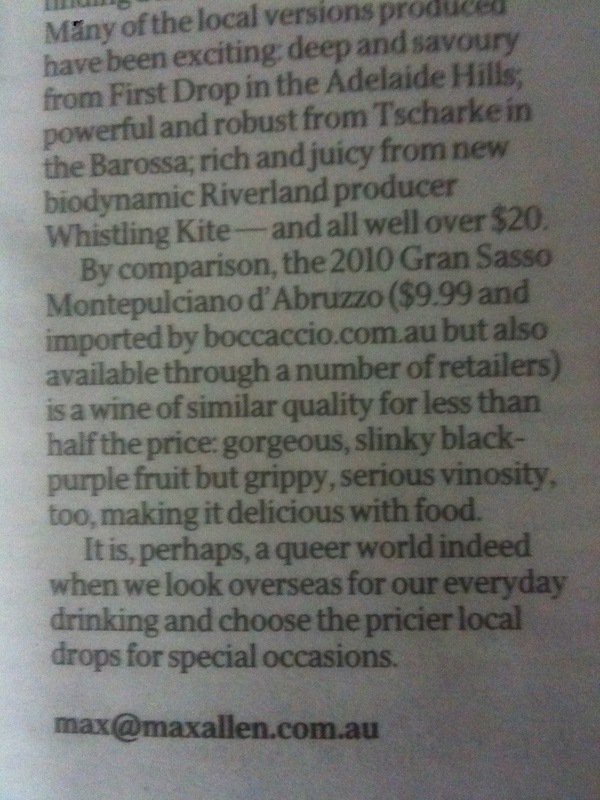 It is a wine that, for the money, is almost laughable. It makes what we do with @mondoimports so rewarding to be able find wines like this and for these wines to gain so much recoginition. 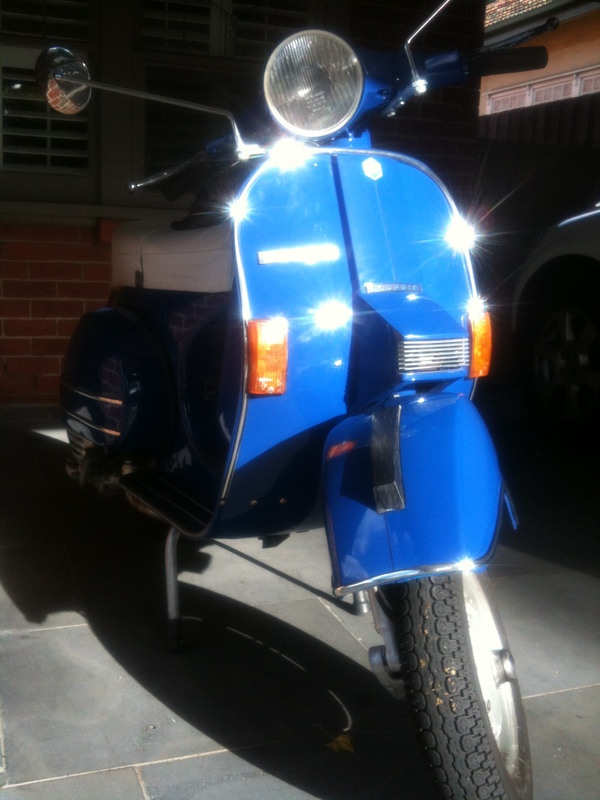 Whilst the weather is still great: nothing beats riding my vespa…. I can’t believe how good the weather has been for April in Melbourne. 25 degrees for most of this week has meant the perfect Vespa riding weather. Let’s hope it continues for a few more weeks…. It’s official: Off to Puglia in June to judge in Radici del sud….. Some people are lucky to be able to work in a field that is also their passion. To be 100 per cent committed to something, you need to be passionate about it.For me this is definitely the case with the wines of Southern Italy. I am passionate about the wines of Southern Italy. For me it is not work: work is something you do because you have to. My family import from Italy because we love Italy and its wines. I travel to Italy at least once a year, and I am as excited today about going back to Italy as I was the first time as a young child. Italy is in our blood and Italian wine is our passion. Over the last five years we have built a reputation for Mondo Imports as an importer that specialises in importing indigenous varieties from the South of Italy. Mondo Imports is now considered one of the (if not the leader) leading importers of wines from the South of Italy into Australia. It comes with great pleasure then to be invited to judge at the prestigious Radici del Sud festival in Puglia this June which specialises in promoting indigenous varieties from the South of Italy. Below is the press release on the event. The seventh Radici Festival is taking place in June from Thursday 7th to Monday 11th in Savelletri di Fasano (BR) at the wonderful Borgo Egnazia . This year too the contest will rely on the crucial support offered by the Departments of Tourism and Agriculture that always show keen interest in promoting such events. This will be the second edition after last year’s successfully experiment that gained the trust of local producers and succeeded in involving the other regions of South Italy, catching the interest of both national and international consumers. Next Radici del Sud is expected to involve a huge number of world’s witty wine connoisseurs, providing a great deal of really interesting ideas. Nicola Campanile has cleverly thought to ideally form a consortium of the best Southern producers that can be this way better recognizable for their precious products. Campanile made sure he could rely on a big number of skilled people starting from the long-standing and successful collaborators Luciano Pignataro and Franco Ziliani. Together with them, there’ll beGiovanni Gagliardi and Francesca Tamburello representing the new participant regions Calabria and Sicily respectively. They will spread Radici del Sud’s message addressing it to those producers who make their unmistakable wines with absolute authenticity and rigour.Waiting for other well known personalities to send their adhesion, we can now confirm Tom Maresca wine writer USA, Gary Grunner opinion leader, wine buyer USA, Fred Nijhuis wine writer Holland, Ole Udsen wine writer – co-author of “Italiensk Vin” Danmark, Maciej Bombol importer and sommelier responsible for Enoteka Polska Varsavia Poland, Tomasz Prange-Barczynski wine writer and managing editor of the magazine Magazyn Wino Poland, Anthony D’Anna importer of Italian wines Australia, Michele Cianciulli wine buyer, opinion leader of Italian wines in USA, David E Smith wine buyer USA, Tom Cannavan journalist Wine Pages UK, Angelo Peretti wine writer editor of the blogInternetgourmet.it Italy and Vito Intini President Onav–Italy. 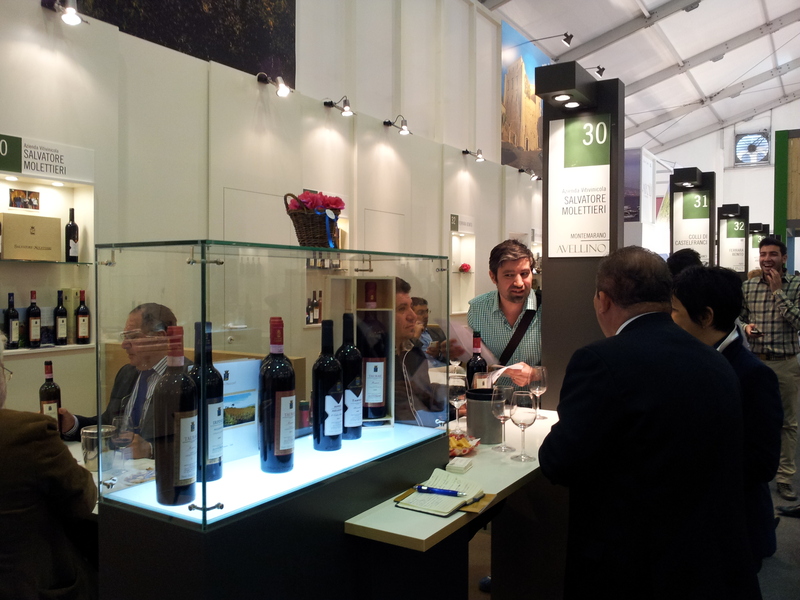 The Apulian grapes entering the competition will be those tasted during the previous editions. The new ones will be Nero d’avola, Nerello Mascalese, Nerello Cappuccio and Cataratto from Sicily , Aglianico, Taurasi, Fiano and Falanghina from Campania, Magliocco and Gaglioppo from Calabria and Aglianico del Vulture,Fiano, moscato and malvasia from Basilicata. The scheduled programme including five days will range from technical activities and congresses to extremely relaxing activities during which the new visitors will easily understand and appreciate all the typical tastes and charme these places can offer. The first two days will be almost completely devoted to the meetings between the foreign guests and the participating producers with the aim to strengthen any commercial relationships and to offer to those producers who have great and legitimate expectations from Radici lots of new opportunities to interface with experts who are well aware of this brand. The following days will be devoted to the tastings held by scheduled groups of tasters. What’s new in this edition is that the wines will be prized according to the region where they’re produced and the grapes they come from, as it represents the main interest. This crucial idea will be discussed during the conference “Autoctono del Sud: natural per forza” that will be held on the last day. It is expected to be particularly interesting as it will pose a serious question to the audience related to whether the man should interfere in the natural course of events even in the territory of the native grape where the old and healthy traditions have always been respected. 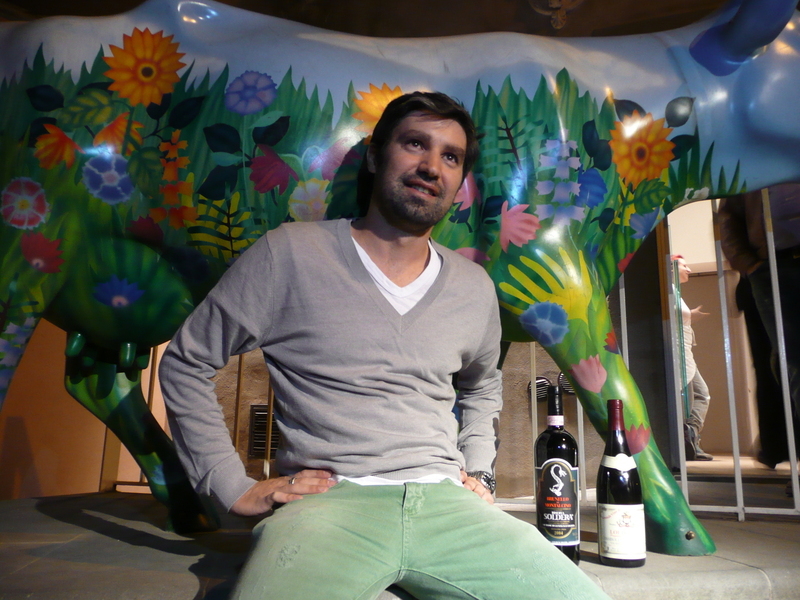 It’s not by chance that there will be a special prize for the best organic and bio-dynamic wine per each region. At the end of the day (11th June) all the visitors and guests will taste over 250 wines enjoying the delicious buffet offered by some well known Apulian chefs.